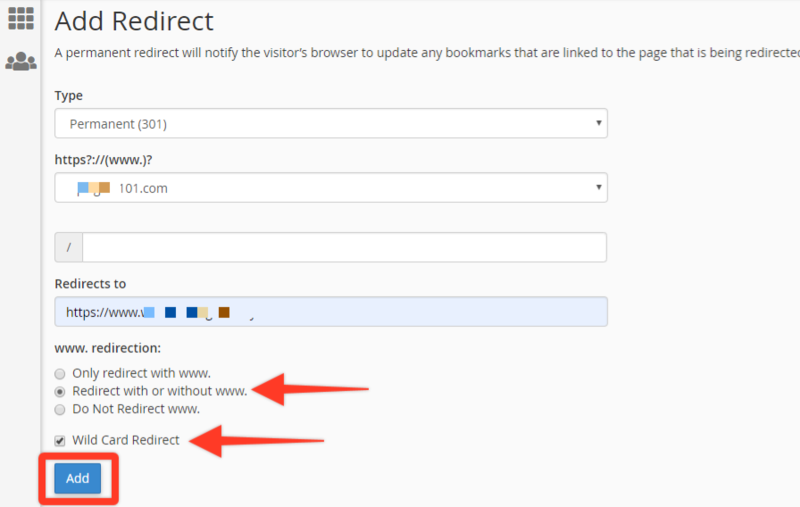 How to Force Your Visitors to Visit Your HTTPS Website? From time to time we are asked by our clients on how they can force their website visitors to view their website over https. For example, if a visitor access http://yourdomain.com , you can force them to https://yourdomain.com so that they are always using the SSL certificate. Login to your cPanel account and click on Redirects under the Domain section. Set Type to Permanent (301). Next to https://(www.)? choose the domain name you are working with. Once you&apos;re done, just click on the Go Back button to return to your dashboard.